Take your cupcakes from ordinary to extraordinary with these adorable Cupcake Cuties! 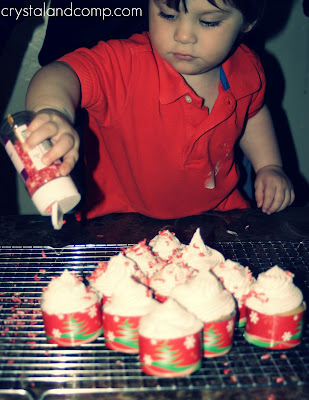 Maybe your little one is having a holiday party at school soon. Maybe you signed up to bring dessert to the family Christmas dinner but you’re feeling a little less than creative. Maybe someone special in your life has an upcoming birthday and you’re tired of the same ol’ thing. 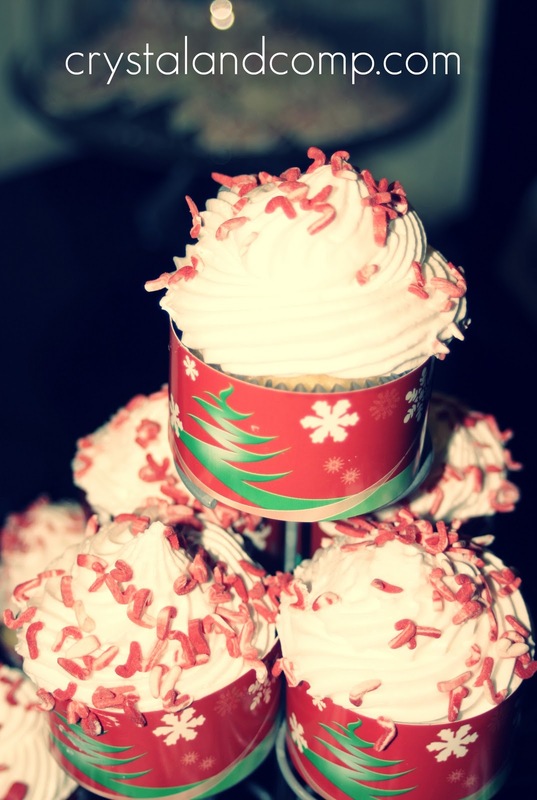 I love cupcakes, that is not a lie or a secret. Since my oldest son was little birthdays are something I look forward to so I can create and celebrate with cupcakes. Do not have all the time in the world. Cupcake Cuties has the perfect solution for us. Select the Cupcake Cutie design that is perfect for your celebration. We are using the Christmas Tree design. 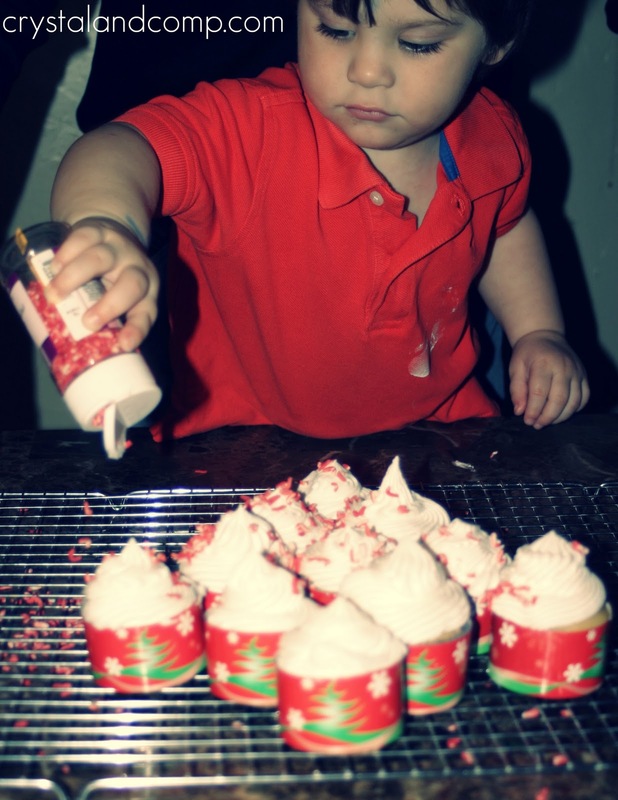 The kit comes with 24 cupcake sleeves, custom topping sprinkle, and an icing bag. 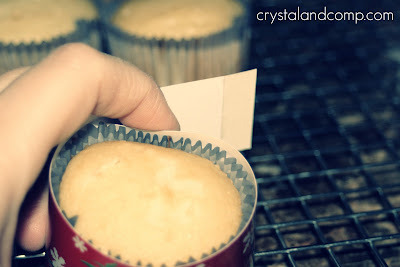 Remove the sticky tab on the back of the cupcake sleeves. Wrap the cupcake with the sleeve allowing the sticky tab to seal the wrap. Make your icing. 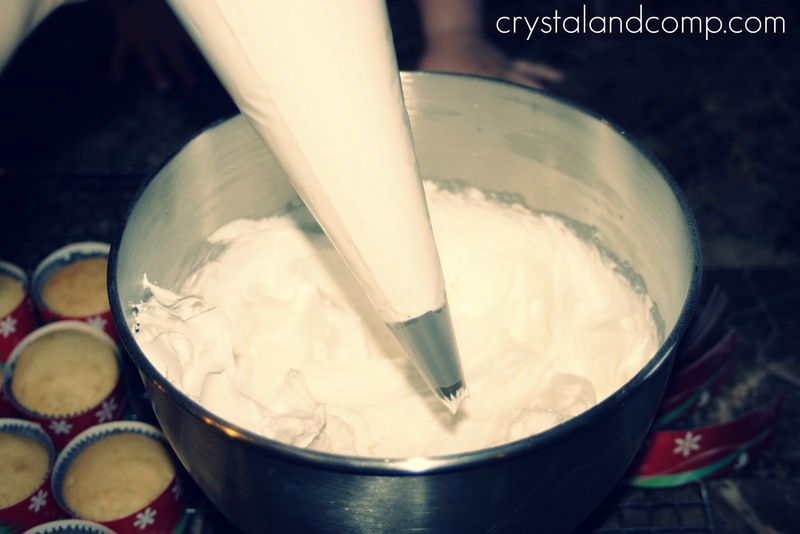 I made whipped icing from a box. Seriously. You should try it sometime. 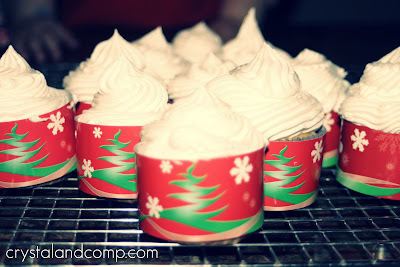 Would you like to win a set of Christmas Tree Cupcake Cuties? Enter once or enter all ten ways- it is up to you. Leave a comment for each entry as well as your email address. Have all entries in by Wednesday, December 15, 2010, by 11:59 pm CT.
Random.org will be used to determine the winner. 1) Visit the Cupcake Cutie website and tell me which cupcake decoration kit is your favorite. 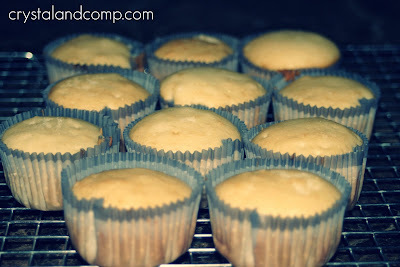 2) Like Cupcake Cutie on Facebook. 3) Follow Cupcake Cutie on Twitter. 4) Like Crystal & Co. on Facebook. 5) Follow Crystal & Co. on Twitter. 8) Get my updates delivered to your email inbox! All opinions in this review are my own. 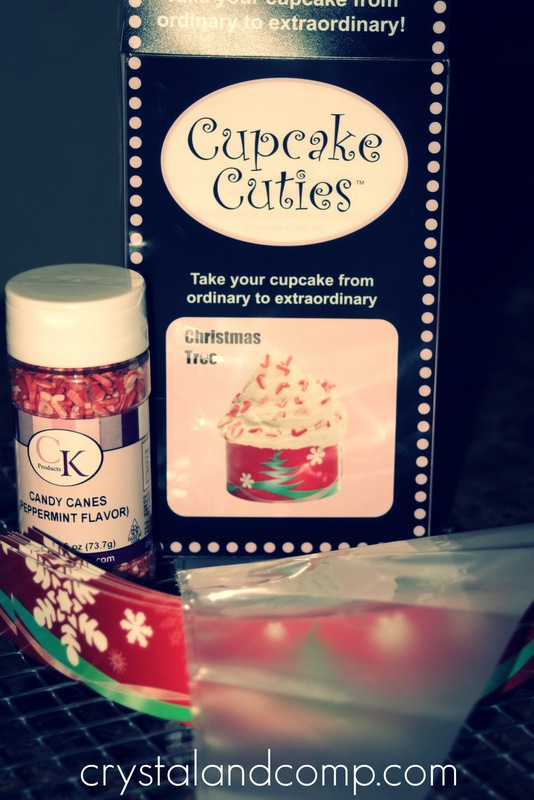 Cupcake Cuties supplied me with one Christmas Tree kit to use for the product review. My favorite Cupcake Cutie Kit is the Popcorn Kit, very neat! Ps- I love the pics of your son, absolutely adorable! My favorite cupcake decoration kit is the Wedding cupcakes. Like Cupcake Cutie on Facebook. Following Cupcake Cutie on Twitter. Like Crystal & Co. on Facebook. already subscribed to the mailing list of Crystal & Co. The pirate themed sets are cute. The hamburger set is cool. I like the multi hearts kit. I like the Cheeseburger kit. Adorable. 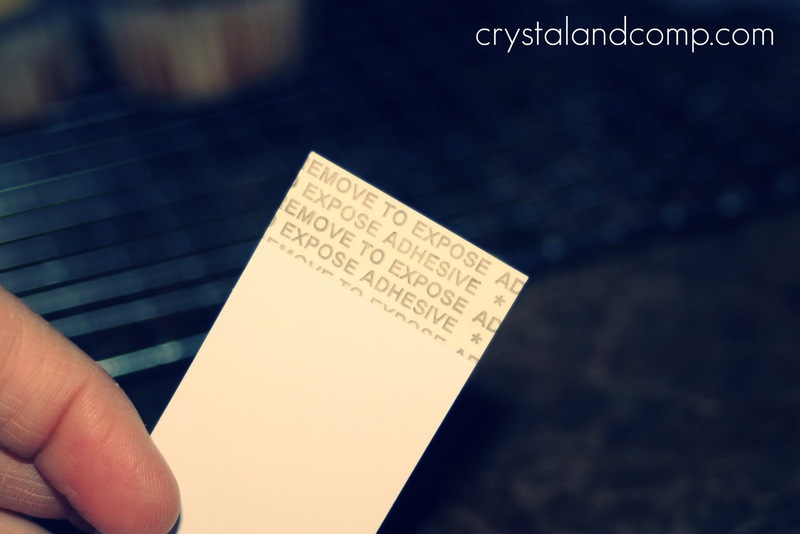 Follow Crystal & Co. on Twitter. the summer fun and the jungle are so cute! I love the baby face, so cute. I love the summer fun cupcake kits! I like the Christmas tree kit. following crystal & co. on twitter. I love the sushi roll! My favorite is the jungle kit. My favorite is Summer Fun. I like the Easter Basket design! So cute! I love the Celebration design. I like the sushi roll kit the best. I love the hamburger one! It's adorable and doesn't look like a cupcake which will get people talking! I like the Baseball Cupcake! We like the 4th of July, so the Fireworks kit would be cool. The popcorn one is really cute. I like the Santa Face kit. I like Bunny Face! Cutie! I Like Cupcake Cutie on Facebook! 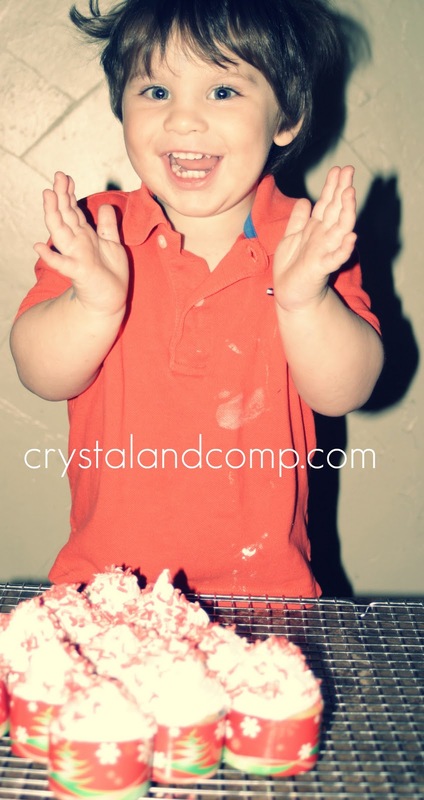 I Like Crystal & Co. on Facebook! I follow cupcake cutie on fb. I love the popcorn one. I Like Cupcake Cutie on Facebook. I follow cupcake cutie on twitter @Aerated. I like the "cuties for the cure"
the cheeseburger one is too cute!!!! Love the Santa Face cupcake kit!!! Sooo many cuties…..glad to find this site! I Follow Cupcake Cutie on Twitter. I like the popcorn kit.